South Hall opened as the University’s first LEED-certified building. The University’s sole senior-only hall houses 450 students in suites and cost about $75 million to build, becoming one of GW’s most coveted residence halls. During the Class of 2013’s first major on-campus performance, students pelted rapper Sean Kingston with glowsticks, causing the rapper to cut his Fall Fest set short. A group of administrators, faculty and students formed the Innovation Task Force, a brainchild of University President Steven Knapp, to find the University an extra $60 million by 2015. So far, it has produced or saved $34 million for academics and research. 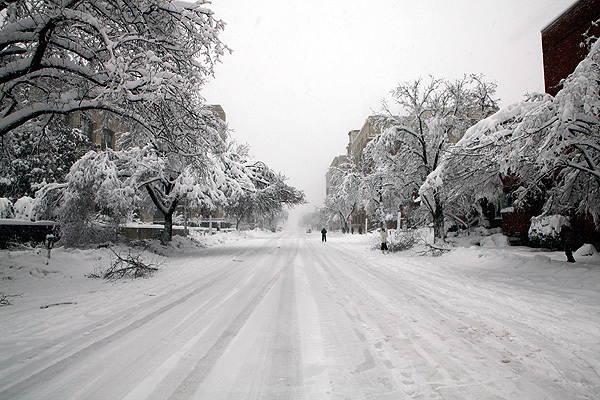 “Snowpocalypse,” the worst D.C. storm in nearly a century, dumped 2 feet of snow on D.C., shutting down GW and much of the city for six-and-a-half days. Some students passed the time with a snowball fight – besting Georgetown University with the help of Knapp. First lady Michelle Obama headlined Commencement after students completed a volunteer challenge that involved 100,000 hours of community service over the year. 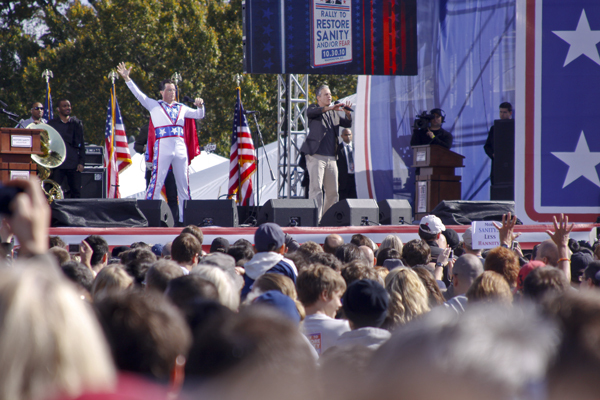 Tens of thousands staked out the National Mall for rare moments of sincerity from Comedy Central pundits Jon Stewart and Stephen Colbert – a star-studded event called the Rally to Restore Sanity and/or Fear. GW became one of the first colleges to adopt gender-neutral housing, allowing male and female students to room together, after intense lobbying by the campus’ LGBT community. To help refresh GW’s most visible athletics program, new athletic director Patrick Nero hired Mike Lonergan from the University of Vermont to take over the men’s basketball program. Former head coach Karl Hobbs, who was fired a month prior, led the team through more than a decade of highs and lows, including three consecutive trips to the NCAA Tournament. Fast-food favorites Chick-fil-A and Wendy’s were booted from the University’s dining program, part of a revamp to J Street that also introduced new names like the Metro Diner. The Avenue brought luxurious apartments, a Whole Foods and half a dozen restaurants to Foggy Bottom. Hailed as one of the city’s most successful development projects, the GW-owned complex has also helped fund campus construction through the shops’ rent payments. 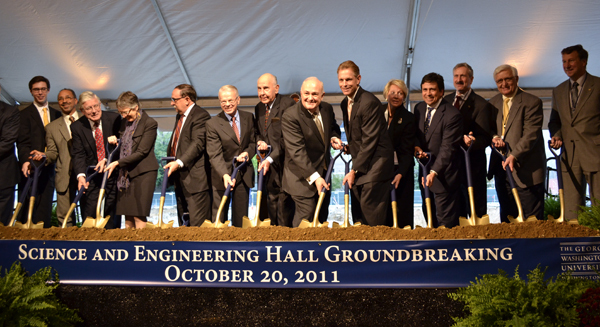 The University broke ground on the Science and Engineering Hall, a massive $275 million construction project that is slated for completion in 2015. Administrators and faculty expect the building, which will be filled with modern labs and classrooms, to elevate GW’s prominence in technical fields. The University completed a two-year rebranding effort, unveiling a new logo – which was soon plastered across campus – and a marketing campaign that stresses GW’s D.C. location and high aspirations. U.S. News & World Report kicked GW off its top colleges list after administrators announced they had inflated admissions data for more than a decade. Paul Schiff Berman exited as dean of the then-No. 20-ranked GW Law School after faculty organized a vote of no confidence, opposing his management style as legal education faces heavy changes. Berman moved to the provost’s office to lead online learning efforts. 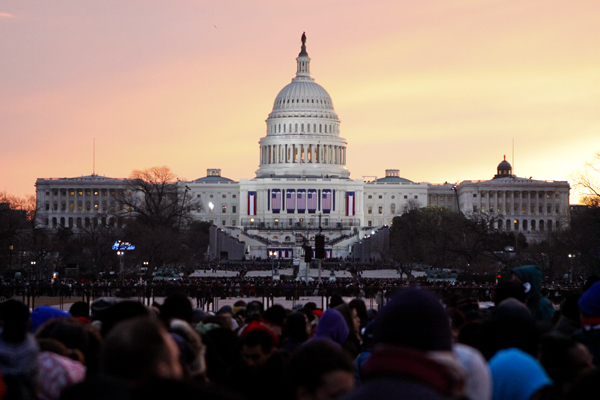 Students flocked to the National Mall before dawn for the quintessential D.C. experience: the opportunity to watch President Barack Obama’s second Inauguration.